While many people consider all motorcycles dangerous, according to a study in the Journal of Safety Research, some types are more dangerous than others. Supersport motorcycles have a driver death rate four times higher than that of cruiser/standard motorcycles. Researchers are trying to understand the reasons for these high numbers, so they can find ways to bring down the number of motorcycle fatalities. For years, the focus has been on reducing motorcycle deaths by urging drivers to wear helmets. Even with the widespread use of helmets, however, supersport riders have shockingly high death rates. Experts offer several possible explanations for the wide variance in fatality rates among the different types of motorcycles. First, we should explain a bit about supersport motorcycles. Supersport bikes are lightweight racing bikes, modified for riding on streets. They can go up to 190 miles per hour, as their engines have more horsepower per pound than the average NASCAR vehicle. 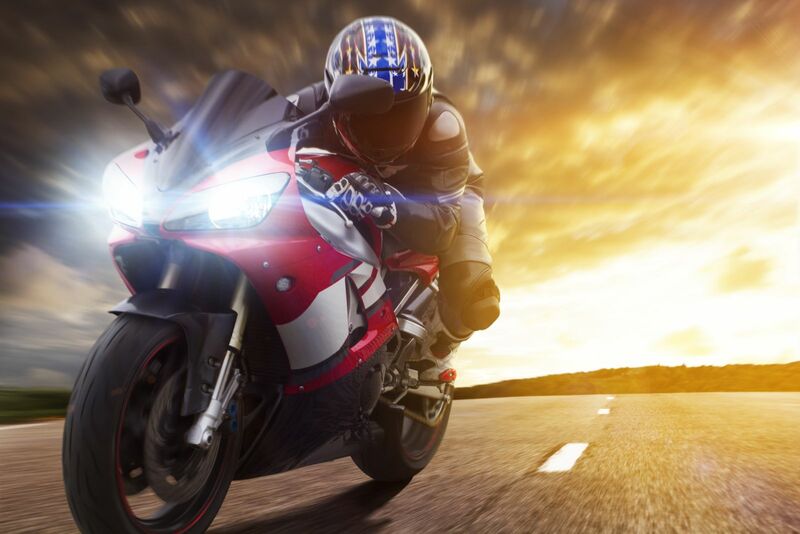 What causes fatal accidents on sports bikes? Speed and driver error are involved in a high percentage of sports bike fatalities, including supersport motorcycles. Experts suggest that age is also a factor, as youth and inexperience can explain the incidence of driver error. How do fatality rates compare among the types of motorcycles? Researchers report motorcycle driver fatality rates by the number of deaths per 10,000 registered vehicles of that type. Cruisers have the lowest fatality rates of all major motorcycle categories. How do the total fatalities compare by type of motorcycle? Surprisingly, the high number of supersport fatalities is only involved with bikes below 1,000 cc. Cruising/standard motorcycles had a higher number of overall fatalities. What are the rates of speeding in fatal crashes by motorcycle type? Current research offers possible explanations for the higher fatality rates of sports motorcycle drivers, but no clear answers or solutions. Research suggests these fatality rates are higher because younger drivers, who tend to ride sport bikes, drive faster, make more errors, and die at higher rates than the drivers of other types of motorcycles. If you were injured or a loved one died in a motorcycle accident, call motorcycle accident lawyer Max Meyers for help with your claim. Get your free consultation; call 425-399-7000 today.